Our calendar of events is below. Click on a specific event below to find out more. 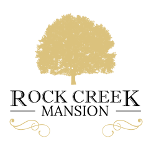 All events are held on Rock Creek Mansion property unless otherwise noted. Social events are open to all members and their bona fides (guests known to members). Proceeds help support Charitable Initiatives. Trivia Night! $25 per team. Bring your own food! Our Council hosts a first degree opportunity for new members. It starts with an invitation… Ask someone you know today! Lenten Fish Fry & Yellow Ribbon Fundraiser & Dave Phenecie Band!